The EqualLogicTM PS6010S with Solid State Disk (SSD) drives provides exceptional random IOPs performance with very low latency for intense database and other very demanding enterprise applications. 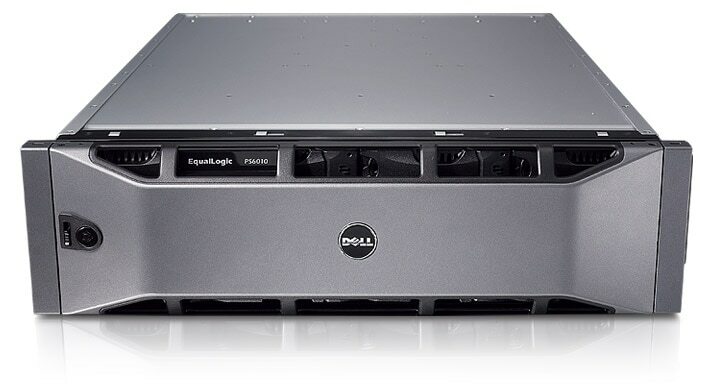 The DellTM EqualLogicTM PS6010S is a virtualized iSCSI SAN that combines intelligence and automation with fault tolerance to provide simplified administration, rapid deployment, enterprise performance and reliability, and seamless scalability. The PS6010S with Solid State Disk (SSD) drives provides exceptional random IOPS performance with very low latency. With either 8 or 16 SSD drives, and with new 100GB SSD drives up to 1.6TB per array, the PS6010S is designed as a cost-effective SSD option for the highest priority applications with moderate-sized data requirements. The PS6010 line features a redesigned 10GbE dual-port controller delivering up to 10x the bandwidth per port and 2.5x the bandwidth per array compared to previous generations. The PS6010S is an intelligent storage array that provides rapid installation, simple management, and seamless expansion. All PS Series storage arrays include SAN configuration features and capabilities that sense network topology, automatically build RAID sets, and conduct system health checks to help ensure that all components are fully functional. A PS6010S can often be installed, configured and serving storage in less than 1 hour. EqualLogic PS Series arrays are based on a virtualized modular storage architecture that enables IT managers to purchase only the storage they need, when they need it — helping to prevent both underutilization and over-provisioning. Using innovative data movement technology, all EqualLogic PS Series arrays in a SAN work together to automatically manage data, load balance across all resources, and expand to meet growing storage needs. The EqualLogic SAN line is designed to meet and exceed the rugged requirements of the data center. The PS6010S includes fault tolerance capabilities through fully redundant and hot-swappable components — standard dual-10GbE controllers, dual fan trays, dual power supplies, and robust Solid State Disk drives with hot spares. With built-in storage features once available only to top-tier data centers, the PS6010S enables best practice storage for every size organization. The EqualLogic PS Series arrays represent a breakthrough in storage economics, from purchase and setup to operation and upgrades. The PS Series scales on-demand — and online — allowing storage growth without disrupting applications. As a result, EqualLogic PS6010S arrays provide exceptional flexibility at a low total cost of ownership. 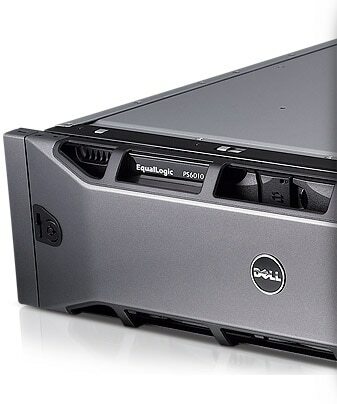 Whether consolidating a direct-attached storage (DAS) infrastructure, migrating data from an existing SAN or NAS system, streamlining data protection processes, or simply adding storage capacity, the EqualLogic PS Series from Dell offers a family of proven, high-performance, self-managing storage arrays designed to meet the requirements of today’s critical datacenter environments.